The project PEGASUS is funded under the Horizon 2020 work programme “Secure, Clean and Efficient Energy” addressing the call “Competitive Low-carbon Energy” and, specifically, the topic “Developing the next generation technologies of renewable electricity and heating/cooling” with the technology-specific challenge “Innovative Components and Configurations for concentrated solar power (CSP) plants”. PEGASUS investigates a novel power cycle for renewable electricity production combining a solar centrifugal particle receiver with a sulphur storage system for baseload operation. 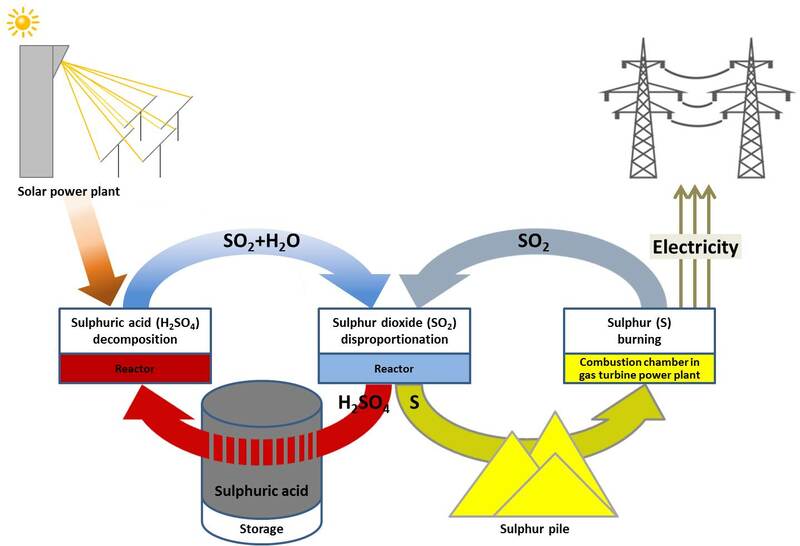 The proposed process combines streams of solid particles as heat transfer fluid that can also be used for direct thermal energy storage, with indirect thermochemical storage of solar energy in solid sulphur, rendering thus a solar power plant capable of round-the-clock renewable electricity production. Find out more about the people behind Pegasus.